Esha Chiocchio is a documentary photographer and photojournalist who focuses on cultural and environmental issues. Her work has been published in a variety of publications including National Geographic, National Geographic Traveler and Newsweek. In 2004, she was named one of the Photo District News 30 emerging photographers of the year. She got her first single lens reflex camera when she was 16 years old, just before a family trip to Kenya, where she photographed the Masaai and animals who live in this beautiful part of the world. This experience gave her a life-long passion for photography and cultures. Upon completing her bachelor’s degrees at the University of Colorado in Anthropology and French, Esha returned to Africa to live in a small remote village in Mali, West Africa where she served as a Peace Corps Volunteer for 2.5 years. After finishing her Peace Corps assignment, she studied and worked at the Santa Fe Photographic Workshops for two years where she learned from some of the best photographers in the business. During that time, she was given her first photo assignment by National Geographic to photograph in her old market town of Djenné, Mali. She has since gone on to photograph in numerous countries, including Chile, Guatemala, France, Argentina and Iceland. In addition to photography, Esha is passionate about issues of sustainability and climate change. In 2013, she earned her Master’s Degree in Sustainable Communities and has since taught kids and adults about climate science and sustainability, wrote the Climate Adaptation Plan for the City of Santa Fe and served on the mayor appointed Sustainable Santa Fe Commission. She is now using her photography to highlight climate change solutions, specifically with regard to agriculture and rural communities. 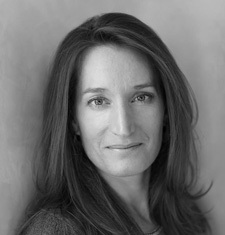 Esha lives in Santa Fe, New Mexico with her husband, photographer Jamey Stillings, and their two kids Zubin and Ciela.